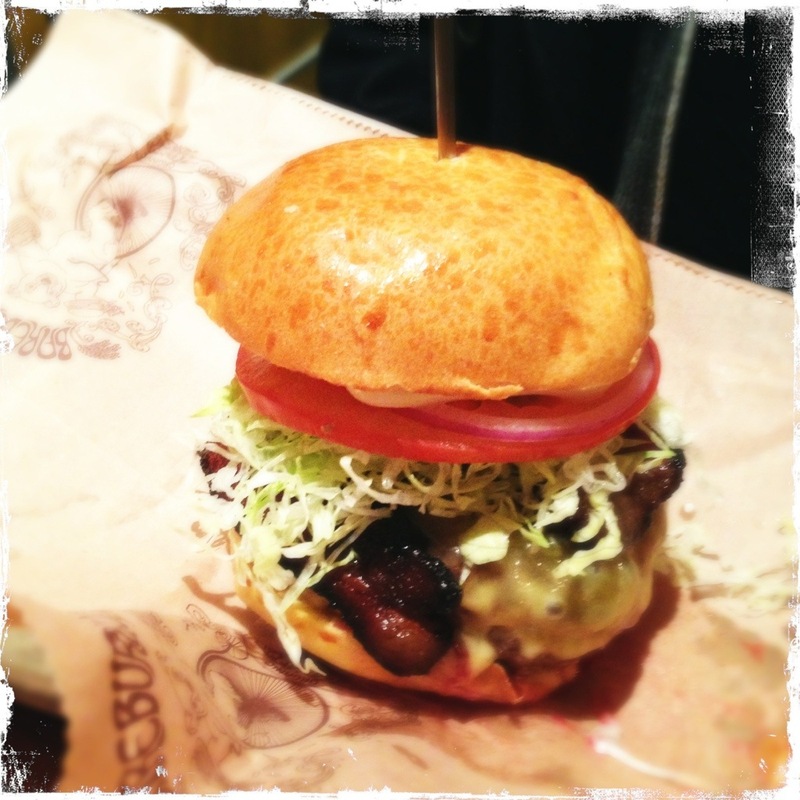 Bareburger | Oh No! Not Another NYC Food Blog! “Healthy” burger bar with locations throughout NYC. We visited the Park Slope location. 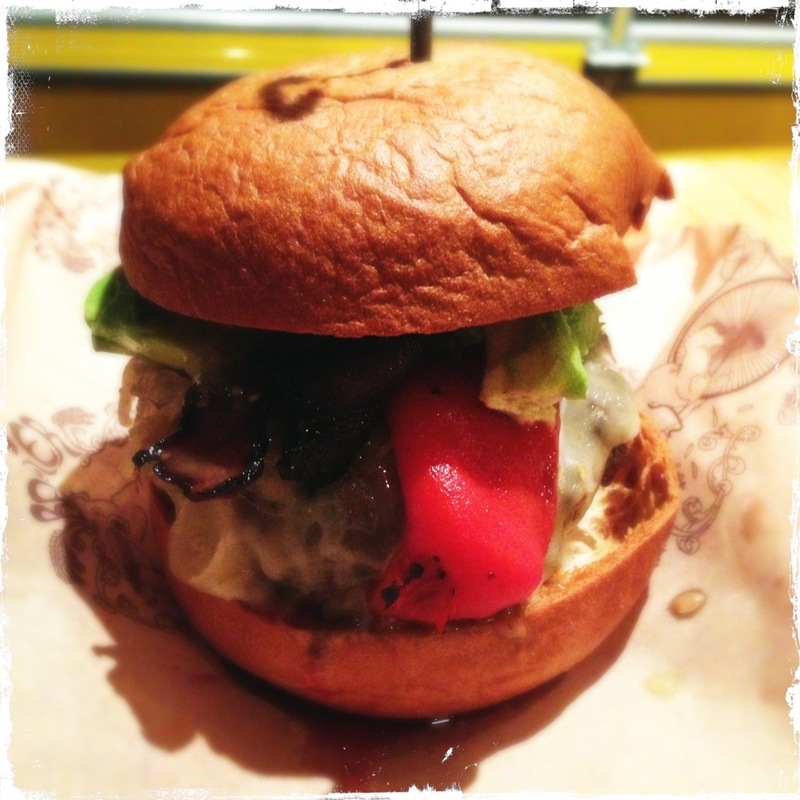 I had the Roadhouse Burger (pepperjack, roasted red peppers, avocado) with elk on a tapioca rice (gluten free) bun. My DH had the Maple Bacon Burger (maple bacon, sharp cheddar) with bison on a brioche bun. Both burgers had great taste, were juicy, and were wholly satisfying. My bun was also great. Lots of bright colors and Scooby Doo on the TV. 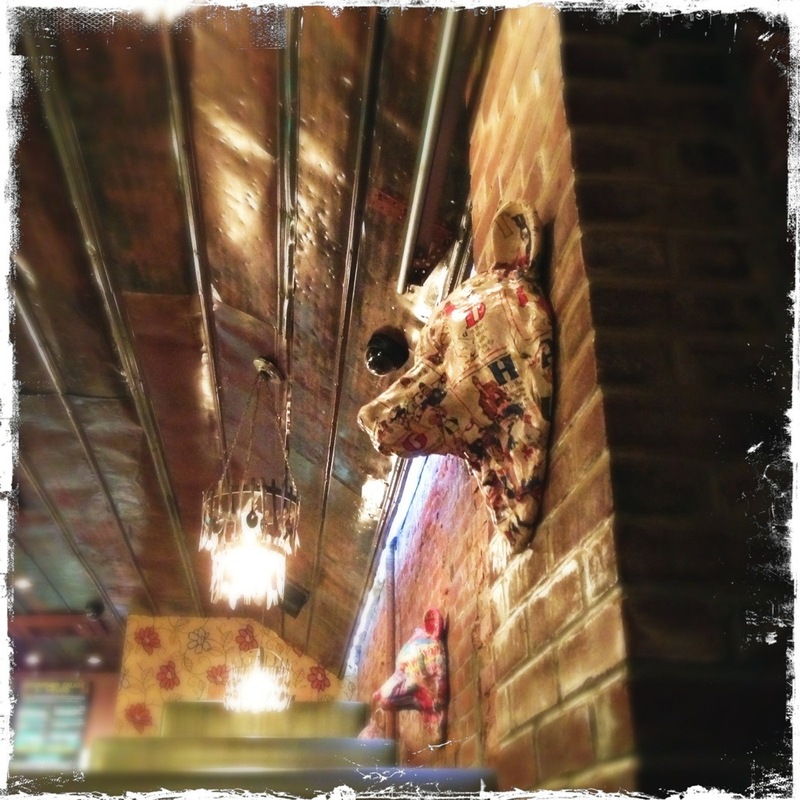 I can’t really argue with this place’s ethos – grass fed everything; buffalo, boar, elk & ostrich on top of beef, poultry & vegetarian options. Gluten free & paleo friendly. This place represents one of the very best compromises in my DH and my eating styles – it’s a burger joint, which he loves, but a burger joint with slightly less horrible for you options, which I need in my life. I can take exception with the screaming gaggle of children that finally, mercifully, left after holding the door open so every shred of warmth escaped the building – sometime after the onset of unruly child-induced headaches set in. But, it is a burger joint, and it is in mommy-drone central, so that just has to be worked around. We have since been back and the children weren’t as cringe-inducing in subsequent visits. 4 out of 5, despite the screaming groups of children.